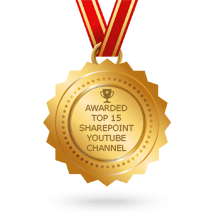 The Microsoft SharePoint site is one of the most popular intranet portals and collaboration platforms used by businesses today. As you may know, it’s perfect for meeting the diverse needs of today’s global stage, even more so for human resources (HR). Dock provides custom builds for each client including an HR portal built entirely on the SharePoint platform to assist with improving service delivery, improve communication and reduce the dependency on IT, which lowers operating costs. 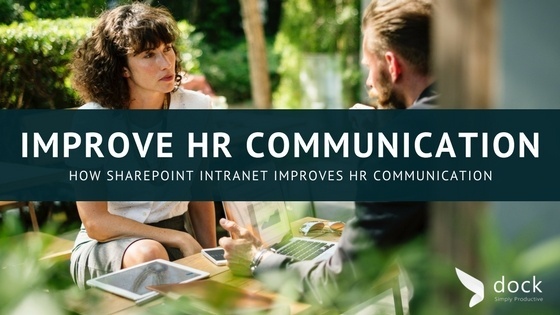 With SharePoint intranet portal, your employees can create consistent, unified business management by moving beyond traditional enterprise resource planning systems to connect the applications that run your finance, sales, operations and departments such as HR by using Microsoft 365 and Dock offering fantastic collaboration tools. Specifically diving into HR needs, the custom portal in Dock for the HR department will improve employee communication. Ultimately providing insights to company goals and objectives. Well informed employees are better performers. Gone are the days of fragmented communication with non-searchable documents on local servers and email blasts for new employees within your CMS intranet. Instead, they will be able to maximize your SharePoint online/Office 365 investment with a well-crafted HR portal. Because files are automatically synchronized and accessible from anywhere, such as benefits information and employee handbooks can be updated within the company portal and found with ease. That’s just the beginning. Employee can obtain self-service capabilities. Enable your employees with more efficiency and faster decision-making with intelligent, automated processes using online collaboration tools. 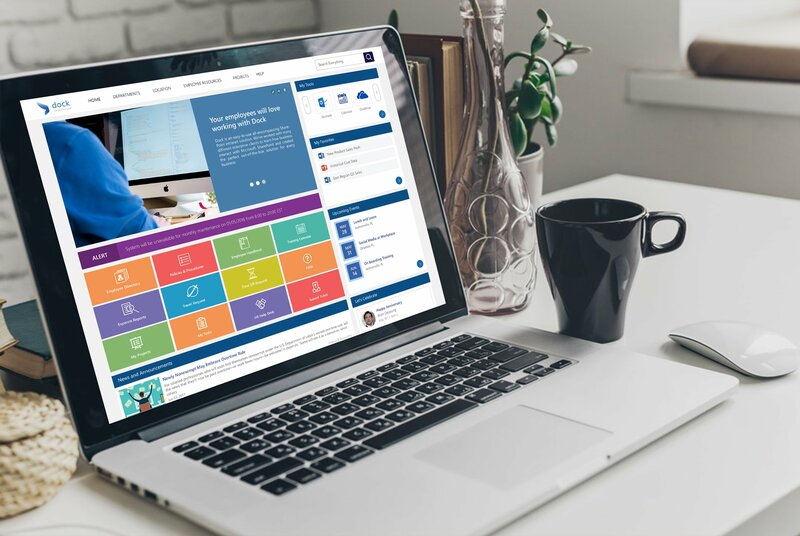 Dock creates an easy-to-use HR portal that encourages self-service and self-sufficiency with personalization capabilities within the SharePoint site. By consolidating integrating sites, applications, content and transactions, employees can find everything they need on their own without a long drawn out onboarding process. If you so choose to, you can even create new employee videos for training sessions for an easily manageable career path solution. Dock provides SharePoint intranet portal templates for fast deployment within four to six weeks. Make the hiring process easier with candidate resumes and contact information “resumes” section. As well as a “jobs” section for a list of active jobs that your company is hiring. In addition, you can access a master list of all employees to find their contact information and more using your intranet software. Not to mention the perks of having travel requests in one place with detailed information about the purpose of the travel request down to the details of departure and returning dates. This feature is also accessible with one of our SharePoint apps: InstaExpense. Your HR portal benefits and tools. Beyond employees being able to access your employee intranet also provides an area for event-based content such as employee birthdays from a database that everyone can see and celebrate. Having upcoming events placed on the Dock home page provides a quick glance at the day-to-day activities for employees. They can compare their department calendar to the employee events for proper planning. The main home page is fully customizable, which can include common needs such as a phone and employee directory. 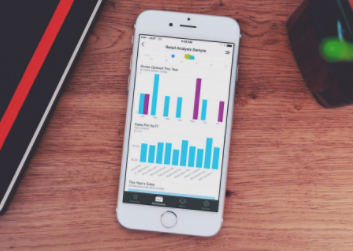 The beauty of this feature is when HR updates the documents, all of the employees have the same up-to-date data for increased productivity. There are several advantages to using a HR system in SharePoint. 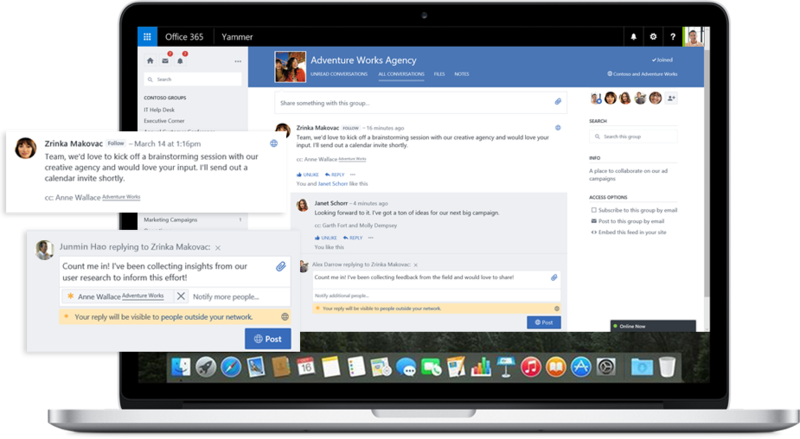 For starters, the employee onboarding and off-boarding hiring process is vastly improved with Dock. You can track what stage of the process an employee is at along with important information such as their employee ID number and contact information. The off-boarding feature is just as critical for company security to disable all access. The payroll feature is a widely useful tool within Dock as well. Upload important payroll documents and spreadsheets such as procedures and wages for your HR staff to quickly find. In addition, it’s a global functional collaboration portal by using cloud-based technology accessible through mobile phones and tablets from anywhere and anytime. This eventually reduces HR service center costs in the long-run while improving employee satisfaction with their HR department services. Find out how a custom HR system in SharePoint can help. 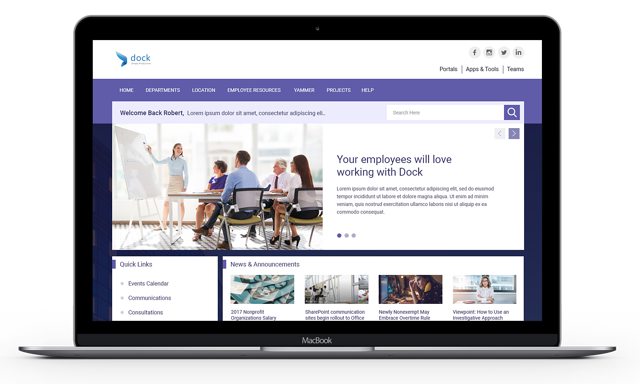 SharePoint with Dock is the optimal platform solution that align with HR service delivery strategies and provides an easily navigable platform experience for employees, new hires, recruits and retires alike. Dock provides a custom branded to your company that delivers all the capabilities and functionality required to achieve your HR goals effectively. Our SharePoint developers offer over a decade of experience helping businesses create your SharePoint intranet portals with adding easy-to-use online collaboration tools, company portals, employee portals and much more for your SharePoint site. Read more about our dedicated HR Portal created just for HR professionals in mind. Bonus! Get a free clickable off-boarding checklist. She's a multimedia producer to include writing, photography, graphic design and video. She enjoys learning about new technology for business and exploring her city in Jacksonville, Florida.